Dangerously smooth and delightfully tempting, this lip-loving lipstick combines the sheerness and shine of a lip gloss in the texture and form of a luxurious lipstick. Illuminating shine with a touch of shimmer. Instantly drenches lips in moisture and locks it in for true comfort. Less pigmented, so it lets lips’ natural colour shine through. Smooths the appearance of fine lines and helps lips look fuller. Glide on confidence with extraordinary comfort. Sweep on style with exquisite smoothness. In an instant, experience the transformation this exceptional lipstick inspires. True Dimensions™ Sheer Lipstick effortlessly blends alluring femininity with the beauty of science. The range of head-turning shades lets you express every dimension of you — from fearless to fashionable to free-spirited — while the advanced formula targets the key qualities that give lips their contour and dimension — fullness, plumpness and firmness. It’s this brilliant fusion that elevates True Dimensions™ Sheer Lipsticks beyond ordinary lip colour. The buttery-smooth-feeling formula melts onto lips, instantly drenching them in moisture and locking it in. Yet the colour won’t feather or bleed. Lips feel soft all day as they’re wrapped in lasting comfort. Then the collagen-enhancing and age-defying ingredients — typically reserved for skin care — are infused in the formula, helping lips appear fuller and feel firmer. Fine lines seem invisible for a smooth look, and wrinkles are less noticeable. Like a colour-infused fountain of youth, your lips will want to drink in every drop. Just a push of the clear-top button releases this stay-true formula from its ultrastylish case, ready to impart its multidimensional beauty on you. Choose from a range of True Dimensions™ Sheer Lipsticks featuring beautifully sheer shades with illuminating shine and a touch of shimmer. So whatever the occasion, outfit or your colour mood, there’s a finish and shade to match. Use a lip brush for a more precise application or for more control over the intensity of colour. 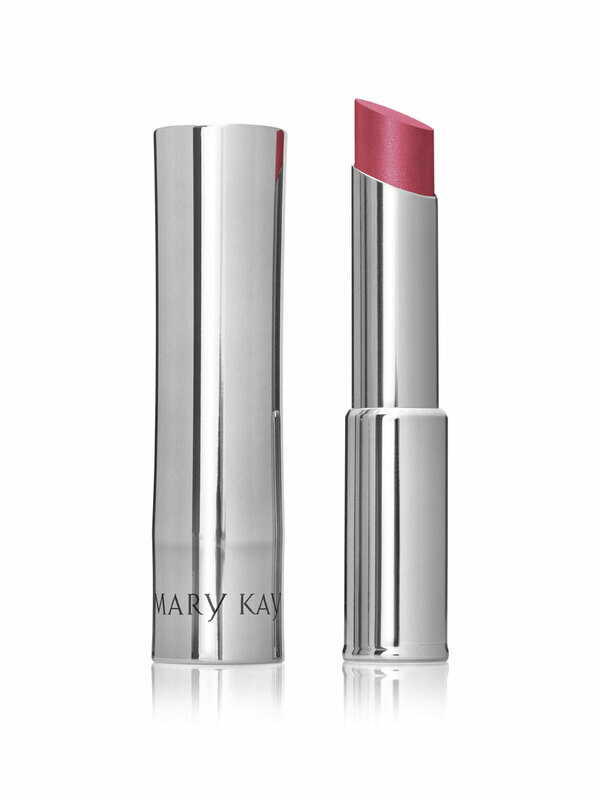 Pair True Dimensions™ Lipstick with Mary Kay NouriShine Plus Lip Gloss to intensify or neutralize any lip colour shade. 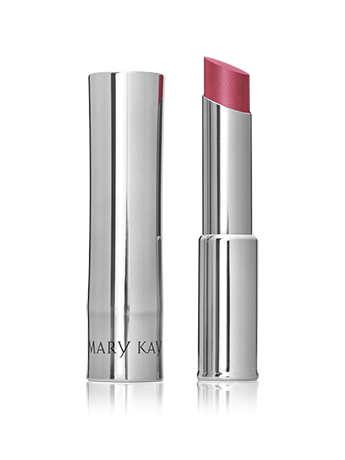 Pair True Dimensions™ Sheer Lipstick with Mary Kay Lip Liner for a longer-lasting lip look. Just fill in lips completely with the liner, and top with lipstick. Mary Kay Lip Liner can help your lips look beautiful for longer in two ways. First, it helps your lipstick wear longer. Just line lips and fill them in completely with lip liner prior to applying True Dimensions™ Sheer Lipstick. Or choose a shade close to your natural lip colour to also add a little intensity to your favourite lipstick shade. Like a fountain of youth for your lips — Blended within this lush-feeling formula are two age-defying ingredients that work in synergy to deliver results. To help achieve the look of invitingly kissable lips, the Mary Kay scientists naturally looked to an extract from the “kiss me quick” plant (portulaca pilosa), plus the power of palmitoyl tripeptide-38, which is commonly used in skin care products. Working together, this complex boosts the production of collagen,* a protein that plays a vital role in supporting the skin’s structure to help give it firmness and volume. The complex also boosts the production of hyaluronic acid* and aquaporin 3* (AQP3), both of which can be impacted by age. Hyaluronic acid can bind up to 1,000 times its weight in water, making it important for retaining moisture in the skin. And AQP3 are proteins that create “channels” to help water travel to where it’s needed most, helping with skin hydration. Retaining moisture in the skin promotes a plumping effect for fuller-looking lips. Naturally beautiful — The lightweight, ultracreamy formula contains a nourishing blend of ingredients provided by nature, including sunflower seed oil, jojoba and mango butter, which are known for their moisturising benefits. And it’s fragrance free. True Dimensions™ Sheer Lipstick looks as good in your hand as it does on your lips. The metalized, smoky-platinum coloured case features a clear button on top, so you can see exactly the shade you’re looking for in your purse or makeup bag. Then, just a push of the button releases the trimline lipstick from its sleeve for an added cool factor. It’s so sleek and ultrastylish, it’s the perfect accessory to complement any outfit. Who will love True Dimensions™ Sheer Lipsticks? Any woman who wants an intensely moisturising lipstick for soft-feeling lips. It’s also for the stylish, fashion-forward woman who loves to accessorise with stay-true colour in a choice of gorgeous shades. And women who want to care for the future of their lips will love True Dimensions™ Sheer Lipsticks. They’re formulated with nourishing skin care ingredients for a younger-looking pout. And for women whose occasion, mood or preference calls for a more subtle look, True Dimensions™ Sheer Lipstick is a can’t-miss. Its delicate finish adds sheer colour to lips while dressing them in radiant shine.